We had such a lovely Christmas and New Year's spent with family and friends. Here are a few pictures from our time together the last few weeks. Our annual family photo in front of our tree on Christmas Eve. Maggie, Emma, and Abbey playing Peanut Butter Sandwich, at Grandma Judi's house on Christmas Day. Our three daughters with their Country at Heart cookbooks that I made them this year from all my favorite recipes. 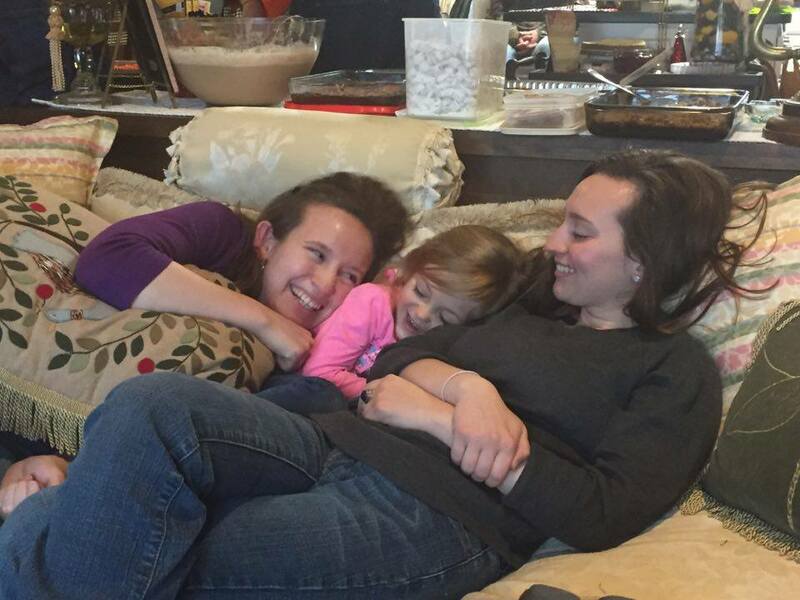 The girls cuddling on the couch the morning after Christmas. Emma (three years) playing with her new Christmas puppy on New Year's Day while our daughters made breakfast for all of us in the kitchen. I hope you had a wonderful Christmas holiday as well and wish for you the best in 2017!